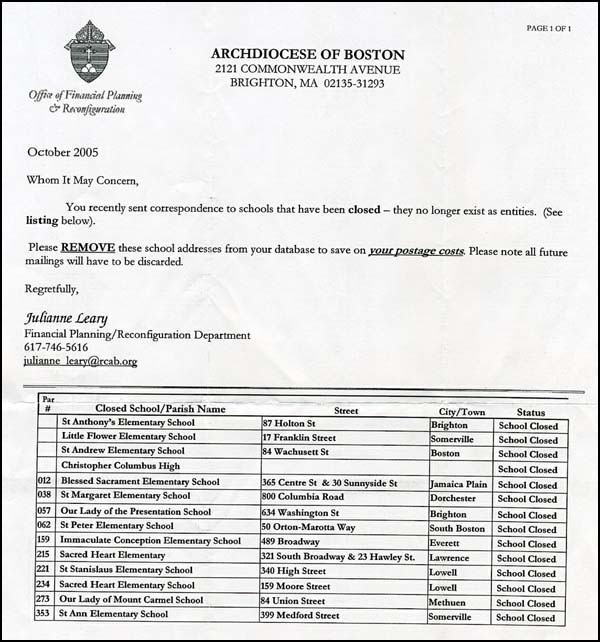 Tradition in Action has criticized the closing of parishes and schools in several Dioceses of the United States (See here and here). We think that this initiative is one item of the progressivist agenda to change the face of the Catholic Church [click here to read comments on the topic by Card. Congar and Card. Ratzinger]. We did not send any direct correspondence on the subject to the Archdiocese of Boston. 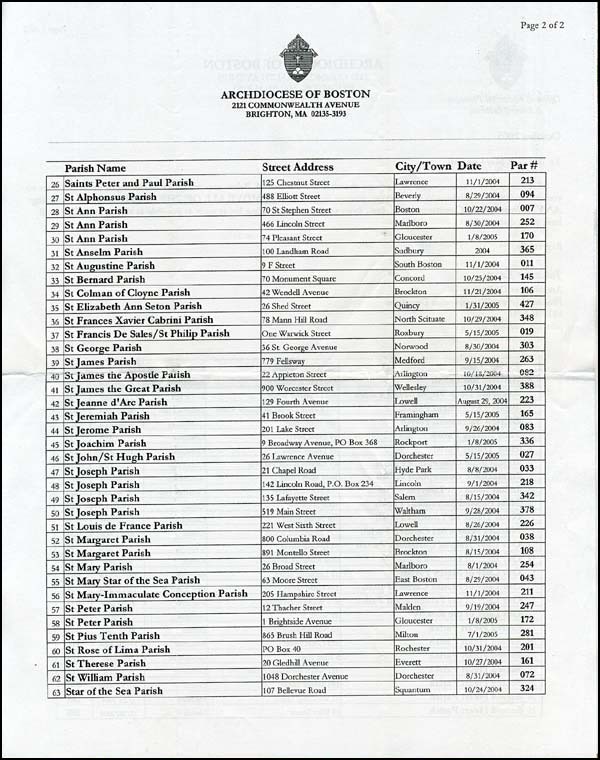 Nonetheless, the Archdiocese recently sent TIA a letter containing the complete listing of the churches and schools that have been closed just in Boston. 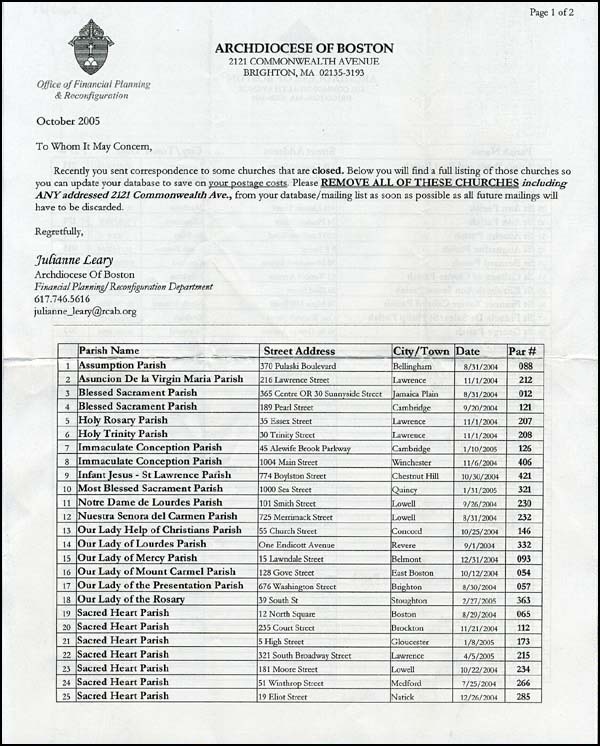 We thought it would interest our readers to have at hand the original pages of this report for their files as a document that concretely reflects the self-demolition of the Church.